Just in time for the holiday season, I bring you three sites that I use to help save some moolah. All of these sites are completely legit (I promise - I've used them myself extensively!) and all of them are seriously magic. Did you know that Bing will literally pay you to use it? Seriously: it's true. Sign up with Bing Rewards and every time you search something on Bing you get a credit. You can then trade these credits in for all sorts of giftcards and goodies: Amazon giftcards, Sephora giftcards, Redbox rentals, and a lot of other fun stuff! I signed up for Bing Rewards back in September and I'm a little over halfway towards earning a $5 Amazon giftcard. Yeah. You've got to search for stuff anyways: why not literally get paid for it? I freaking love Groupon! I want to shout it from a mountain. There is literally a Groupon for everything: vacations, local eats, concerts, electronics, spa treatments, clothes, accessories, everything. I have gotten all kinds of groovy Groupons for everything from putt putt at a local course ($8 for 3 games for 2 people!) to a delicious sushi dinner date with my boyfriend ($30 worth of food for $15!) to getting an oil change for my car ($19 at Valvoline versus the ridic amount they usually charge!) I've gotten to try so many cool things (for super cheap!) that I might have not otherwise tried just because of Groupon. Seriously: sign up and take a look around. There are SO many rad deals that change daily! Ebates is like a weird gift from God. If you do a lot of shopping online (or even just a little bit of shopping online!) it is SERIOUSLY worth it to get an Ebates account - ESPECIALLY if you're going to be doing a lot of online holiday shopping in the next coming weeks! Not only do they offer lots of discount codes for a plethora of stores but they also offer cash back, no strings attached, for a HUGE list of online stores. Every store has a different percentage (usually ranging from 2% to anywhere as much as 25% cash back). It really adds up quick, especially if you do a lot of shopping online. All you have to do is sign in with Ebates and make your purchase from whatever store you'd like and BAM - cash back! And when I say that they offer cash back for a HUGE amount of stores? I mean it -- they have everything from ASOS to Sephora to Amazon to Groupon. I personally chose to get my cash back added to my Paypal account -- it's super convenient and they pay your Big Fat Check quarterly. Their customer service is WONDERFUL and I seriously cannot gush about it enough. Sign up here and give it a try! 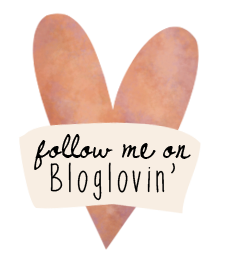 So I've been pretty absent on the bloggin' front, which, like I'm sorry. I started a new job (which is pretty rad) where I'm on the computer all the livelong day, so when I get home at night being on the computer is just... not something I wanna do for very long most of the time. Sorry! But I've got a recipe for you all that is pretty great. 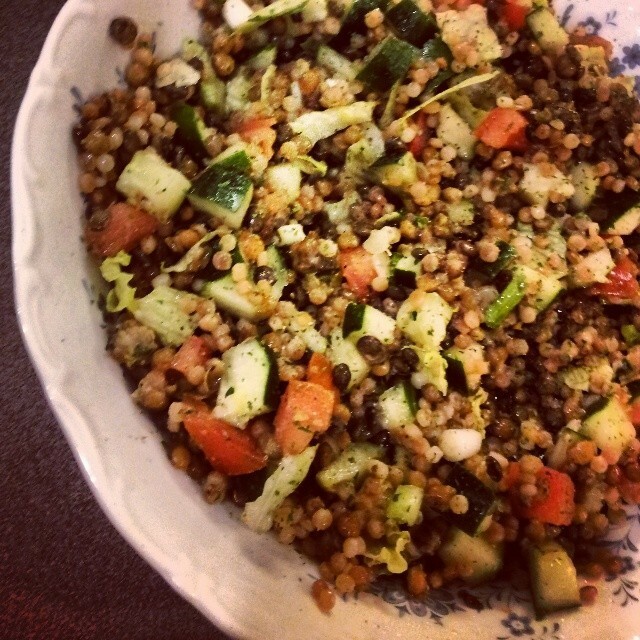 It's basically a variation of tabbouleh with lentils and other good stuff. It makes a great main dish or side dish and it packs one hell of a nutritious punch with veggies, protein, and still some yummy carbs all in one dish. Bam! This recipe is both vegetarian and vegan friendly, so everyone can eat it! (well, mostly everyone. Sorry paleo weirdos). This recipe serves 4 (as a main course). You can easily double it to feed a small army. Some of these prices are approximate because I just straight up don't remember. But the point is: it's seriously not expensive. 1. Get the couscous goin' - cook it according to the package directions (keep in mind that sometimes the package instructions call for too little water, so top it off just in case!) Also get the lentils goin' if you're using lentils that need to be cooked (sidenote: if you're a human sloth like me Trader Joe's Ready Lentils are a great gift from God. You can eat 'em cold or hot. I throw them in everything -- boom, protein with exactly zero effort! I'm so into it). 2. Get cuttin' on your vegetables! Start with whatever veggie you'd like - tomato, cucumber, or green onion. Make sure to get the seeds out of the cucumber and tomato because imho they are a nuisance and unnecessary. For the cucumber, I typically carve out the uber gushy middle (with the seeds) and just toss it and focus on dicing up the outer edges. This is just my own weird personal preference, but I do think getting rid of the more watery part of the cucumber helps it keep better, but do whatever you want! Make sure you dice them up pretty finely -- it doesn't have to be perfect, but you don't want any big chunks. Throw all your cut up veggies into a big bowl. 3. Shred up some lettuce and throw it in the bowl (these instructions are so dumb, I'm sorry, I am not a professional). 4. Hopefully by now your couscous is done (well, it probably is if you're me and you take forever to cut up anything). Throw it in the bowl! 5. Open up your lentils (or hopefully they're done cooking if you're not using ready lentils) and throw them in the bowl! 6. Chop the lemon in half and juice up that bowl! I really like lemon juice, so I pretty much bleed that sucker dry, but do it to your taste! Mix it all together so everything's evenly coated in lemony goodness. 7. Drizzle a tablespoon or so of virgin olive oil into the bowl and mix it up! 8. Add a shitton of parsley (or a more conservative amount if you're just not feeling a shitton). Mix it up! 9. Throw in a little bit of mint and mix it up! 10. Sprinkle some salt and keep on mixing it up! 11. Boom, you're done! Eat it up! This is just the recipe that I used -- but you could totally spice this up and make it your own by modifying it to suit your tastes. I think in the future I'd love to try throwing some spinach or avocado in there. Are there any recipes that you're obsessed with right now?